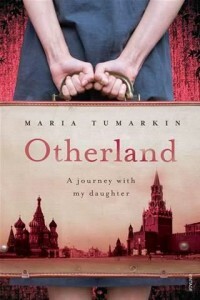 What initially drew me to reviewing historian Maria Tumarkin’s memoir, Otherland, was my interest in its themes. Maria left her birthplace, the Soviet Union, in 1989 as part of the Jewish emigration to Australia before the Berlin wall fell. The premise of Otherland is to tell the story of Maria’s trip back to her motherland with her teengage daughter, Billie. I haven’t read any of Maria’s other books and so I took on the project with a high level of enthusiasm – there are too few migrant stories by Australian authors and I am all for promoting them. But anyone who is familiar with my writing knows that I can be no less than honest and so apologies, in advance, to Maria (and Billie) for what I’m about to say because I feel like I have got to know them, on some level, through the narrative. There have been several discussions here on the blog about the state of the reviewing process but I am hoping that people understand this is just the opinion of one reader, which is entirely subjective. I left too early, before tanks rolled into Moscow in 1991, and before Gorbacev was put under house arrest in a failed coup. I left before Russia and Ukraine became separate countries…I left too early, I missed the whole point…Otherland is the story of a six-week trip transversing three generations, three lifetimes and three profoundly interconnected relationships between mothers and daughters. The boy I was in love with was, in turn, in love with another girl infinitely better looking and talented, who, for her part, was in love with another boy better looking and arguably more talented than the object of my unrequited and poorly concealed affection. In this love pyramid, I was at the very bottom, flattened beyond recognition. But not too far into the book I was niggled by a few passages where Maria ‘tells’ the reader what Billie, her daughter, is like. A little further and Maria is referring to a Greek born, French novelist to highlight the similarities between her story as a migrant and his when what I was really yearning for was a scene from Maria’s own life, flashes of her own experiences, to show us this. On from this Maria discloses she has a son but mentions nothing of who is caring for him and at that point I was lost and I wasn’t sure what time period I was in, what Maria’s situation is (married, divorced?) or how many times Billie had been back to the Soviet Union. Furthermore, the initial train journey at the beginning of the book where they are asked to vacate because they didn’t have the appropriate visas is abandoned (till much later on) and another scene picked up, and the tenses jar which leads to further confusion. Otherland is divided up into locations and time periods but the narrative is jumpy. 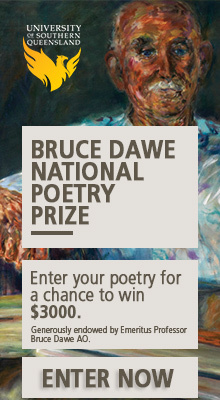 One minute Maria is referring to the now, then she is back in Australia, then she is referring to what this novelist said, or this poet said, what this historian said. Maria touches on interesting concepts and ideas relating to migrants but they are disorganised and aren’t explored to their full potential. The narrative doesn’t flow from one scene into the next and so this leaves the reader feeling disconnected and frustrated. The references to other historical figures yank the reader out of the narrative, preventing them from going on the emotional journey. They stop the reader from getting to know the characters on a deeper level, to feel their pain and joy. The dialogue is forced and there is a lot of telling about how the characters are instead of showing us how they are. Because of this I didn’t feel I connected with any of the characters and felt distant from Billie and Maria when I really wanted to get to know them on a more intimate level. There is no doubt that Maria is an intelligent writer and historian, and I credit her for this, but the biggest downfall of Otherland is that it promises an emotional journey (from the cover, blurb and initial pages) then delivers an intellectual one. No doubt fans of political or historical literature will enjoy Maria’s observations and clever references, but readers wanting an emotional journey (me!) will be disappointed. I wanted to know more about Maria’s life in Australia, what happened in her life to warrant her to take this trip other than to show Billie. What happened in the years before she left and the years between her immigration to Australia and this trip? I wanted family scenes and dynamics, struggles, character relationships. But I felt as if Maria was trying hard to protect her privacy which she has every right to, but that meant that the narrative suffered as a consequence. Maybe Maria covered all this in her previous books but Otherland is not a sequel and so it needs to stand alone as a story. I felt that Otherland was packaged as creative non-fiction when it actually leans more towards a historical analysis. Readers looking for this kind of read will not be disappointed. A good, balanced review, Koraly. I don’t see the need to apologise for your reading of the text, it’s more important to be honest with your readers and you’ve told them what to expect and maybe turned readers on to the book. It sounds like a breakdown in the marketing department, pushing the emotional where history is strong. Thanks, Mark, I agree, but can’t help but feel that reviews like this may come back to bite me! Unfortunately this is how I feel about the state of the reviewing process. Koraly, I wrote one like this early last year and it’s still biting me! But I’d rather be bitten than be dishonest. Allow me to contribute, if I may. Firstly, I found quite a few historical facts incorrect. A lot of others were exaggerated. A couple of “famous” philosophers or writers she is referring to are barely known. The book is infected with overall negativity in how the country is portrayed, which she is trying to offset with “perception”. It is like making a malicious legal report while being protected by a clause called “in good faith”. For example, Moscow Metro is not so bad outside of the peak hour. I do not understand the need to take Billy there at the most savage time of the day. I do not understand the need to sensationalise being stopped on the border with no visa. That particular incident was caused by the author’s lack of preparation for the trip and is no one’s fault but her own. I too am a Russian immigrant since early 00’s who last went to visit in 2011, almost a decade later. My experiences were vastly different to the author’s. My family and most people I know survived the 80’s and the 90’s. Just like Australian people survived economic depression and crisis times. Just like the rest of the World survives tough times. It is almost like she was on a mission to highlight unflattering details, while leaving anything else out of the spotlight. What makes a good analysis is scope and balance. We all have different agendas when delivering a message – hers to me was rather obvious. In order to support my point, consider the following scenario: I could take any tourist to Australian “glubinka”, to the most vulnerable communities, show them people with limited opportunities, or talk about the invasion day at length; struggles of the aboriginals up to this day and the rest of Australia’s dark history. I could take a tourist to the most remote communities where people consume alcohol and drugs daily. I could explain the current politics and international affairs, privatisation to the Chinese, PMs changing faster than in any other country in the World. I could highlight the mining issue, sale of land to the foreigners,Environmental issues. To further secure my agenda, I would take them to housing commission buildings in Redfern, casually hinting this is how most citizens live. I shall not continue as I trust my point is clear by now. I am not a writer and apologise for my rusty delivery. My message is that quite a few historical facts were changed; the biased approach to describe the whole country is evident to those who know. But I am grateful to both countries: Russia for raising me and infusing my whole being with culture. And Australia for becoming my home, giving me amazing opportunities. I have no agenda and no hate. No reason to demonise any government; no reason to be bitter. One thing made me smile however: utterly grandiose self-importance of the author. Her sense of superiority is that of a narcissist. She took Billy on this journey to receive endless gratitude for raising her in Australia, to take over her parents’ achievement as her own. To excuse her bitterness, for Billy to think this is normal. There is a reason Billy does not speak Russian. And that reason is different to author’s explanation. Ouch!! With a comment like this you sure alleviated the reviewer’s guilt. I do believe you have good points. I have just started the book and I really like the way she writes and will finish this book and learn a lot from it since I am one of those who is interested in historical facts than mere EMOTIONS. But I have to say that the scene where the “Australian passport” being taken away like their lives itself read a bit cheesy and melodramatic. If she really felt this way why would she risk going to Belarus in the first place when the Russian train staff warned her repeatedly not to do it?? As opposed to the reviewer I think EMOTION in the narrative only becomes cheesecake for the potato heads . No more veil of tears please. Get to the iron curtain.